At Facegym's flagship store in the Kings Road in London, you can have a really hands-on facial massage - which is what I went to try, to write it up for the Mail on Sunday (link down at the end here). The treatments are styled as 'workouts', the idea being that they really put your face muscles through their paces - because we tend to work out our body muscles, but forget our faces, and FaceGym and its founder, Inge Theron, are really keen on keeping the face muscles toned as an entirely non-invasive approach to keeping your face looking good. On top of the vigorous workout with its warmup, cardio section and strength training (you can see what it is like in the video below), Facegym offers a bit of electrical muscle-toning with its FacegymPro device, which looks like some futuristic insect and feels like mild electrical tingling Not unpleasant. How effective is this device? 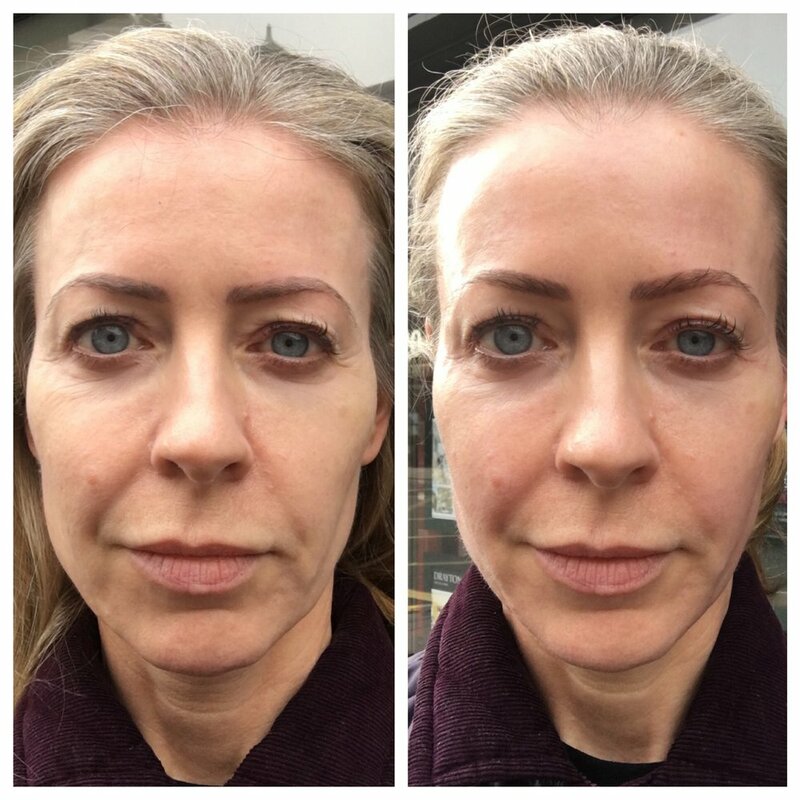 You can see above how after one side of my face has been treated, it looks miles more lifted and open than the other - below is a before and after - the 'after' with kinder lighting, but you can still see the difference. Would I recommend the treatment? If you like the idea of learning face exercises, the ones that Facegym teaches are in the piece I wrote for the Mail on Sunday, The link is here.